I’m rather taken by the Children Of Alice website: it seems to harken back to a time before the busy hustle and bustle of today’s ever-updating and information full social media and online world. It consists of just a set of nine animated GIF slideshows on a black background, which flicker, rotate and seem to almost slide away from view when you try to watch and focus them on the page as they create a set of screens for or portals to a very particular world. 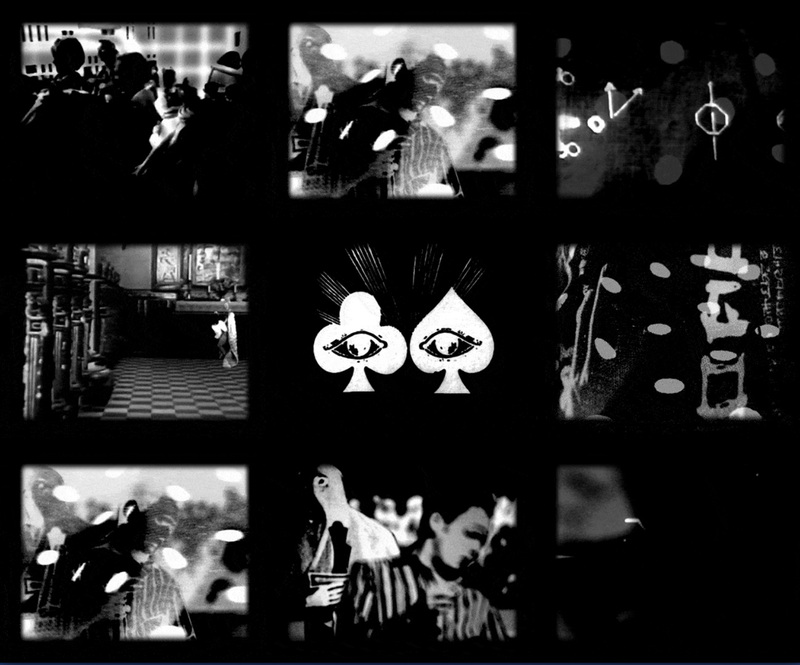 And in contrast to much of todays online world, the only nod to functionality or user interaction on the site is that when moused over one of the GIFs/slideshow images changes from the album cover image to simply read “Children Of Alice Out Now” with three links to where the album can be bought. 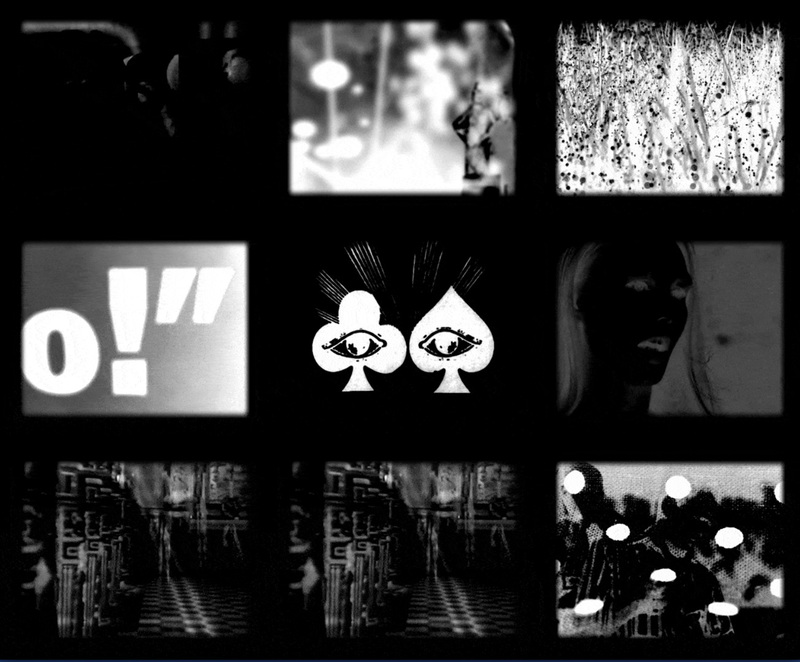 Rather than the more uncanny pastoral collage and themes of the first Children Of Alice album, the imagery in these GIFs seems nearer to the haunted dancehall, parallel worlds of Ghost Box Records and Julian House’s related work. And while it contains some similar arcane imagery as may be found amongst the Ghost Box releases, it also seems to conjure a sense of belonging in part to some earlier era than Ghost Box, mixed here and there with flashes of some kind of almost Kenneth Anger-esque hipster-ness. The soundtrack to the website mixes and filters a sense of being the theme tune to a lost children’s television series, possibly a distant animated kin to the Moomins or Clangers, along with a woozy hauntological take on the gentle escape of say Virginia Astley’s From Gardens Where We Feel Secure. While still musically experimental and layered, it is more overtly accessible and melodic than much of the work on the first Children Of Alice full release and it puts me in mind of the Broadcast And The Focus Group Investigate Witchcults Of The Radio Age album in its more conventional moments. 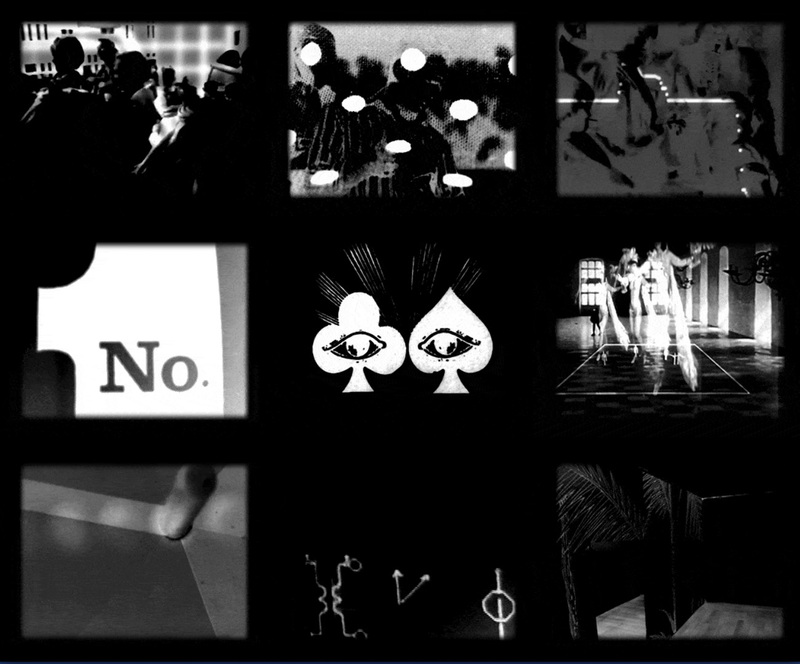 Musically and visually I think the site is an interesting pointer or harbinger for future Children Of Alice work, if its creators choose to move away from the more pastoral, folkloric concepts and themes of Folklore Tapes where their work first appeared.